Peirush Al Ha’Torah. Venice 1547. Classic commentary on the Torah authored by R. Levi Ben Gershon (RaLBaG). Title page set within architectural arch and the first word of each of the five books set in ornamental frame. 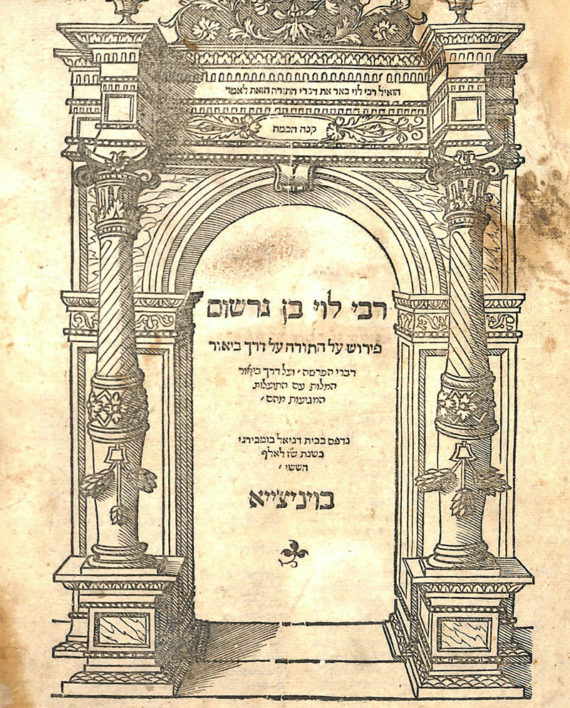 R. Levi ben Gershon (1288–1344), known by the abbreviation of RaLBaG, or as Gersonides was a Talmudist, philosopher, mathematician and astronomer. A scion of an illustrious rabbinical family he is best known for his commentaries on various books of Tanach. He is also credited with having invented the Jacob’s staff, and the Rabbi Levy crater on the moon’s surface is named in his honor. Censor’s signature on title page. Vinograd Venice 327. 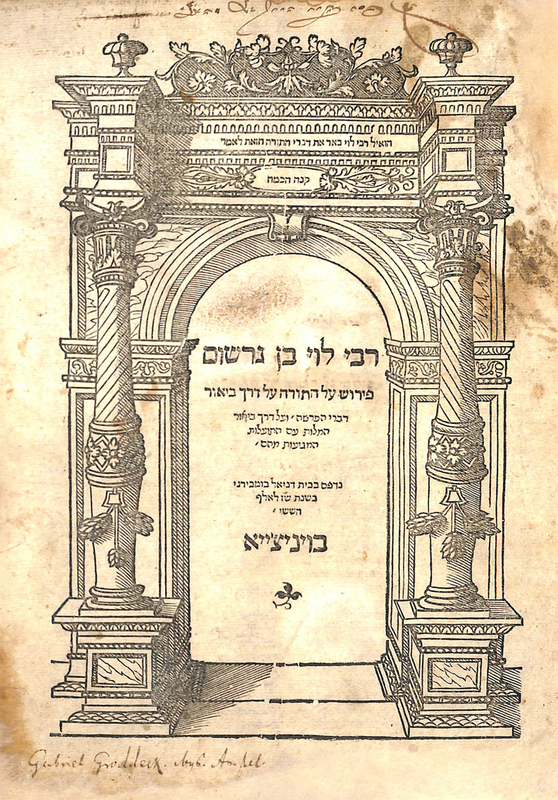 Bromberg press. 6, 9-248 pages. 28 cm. Fine condition. Fine leather binding.